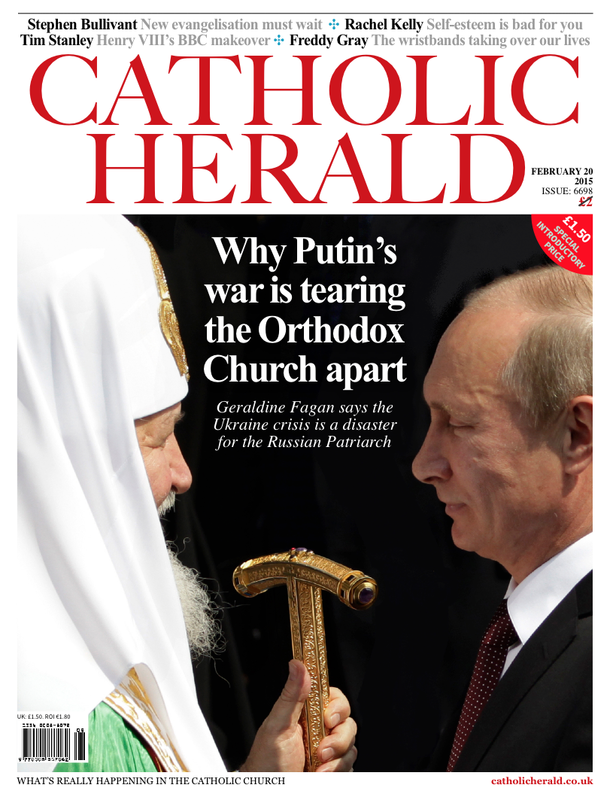 Catholic Herald: Great New Look But Why Not Report the News? I note with amazement that the Catholic Herald online magazine has decided not to report the news of the mass book heist at the Vatican while it has reported some other stories in the past day or so. Synodgate, I would have thought, deserves a little more coverage than that. It is ironic that during the reign of Pope Francis I have blogged considerably less on the subjects of poverty and homelessness than I did under Pope Benedict XVI, but then Benedict XVI did not give Catholic bloggers any need to constantly reaffirm Catholic teaching. It was never felt to be under any threat from the top. Here in Brighton there seems to be a general hardening against the homeless. Nearly all car parks have now been made much secure with card readers so that homeless people find it hard to access them. They tend to be just that degree or two warmer than outside, but they've been made homeless unfriendly places. A friend of mine recently evicted from West Pier Project, Hove told me that he was even moved on by a security guard at 12.30 am. from the loading bay near where I live. He's been sleeping there on and off, in all seasons, for many years. Instead, he had to sleep out in the open on London Road where he feels much more vulnerable to attacks. What next, horses heads in the beds of Cardinals and Bishops? The Fr Thomas Rosica 'case' now covered by quite a few sites disturbs me greatly. The idea that a Catholic layperson can voice his concerns at what certainly appears to be the public statement of doctrinal positions that deviate from the Magisterium, only to then be issued with a lawsuit from a priest is quite unbelievable. This news ties in with the latest reports of the wrecking ball approach of the Commissioner of the Franciscans of the Immaculate. This is getting really very ugly. A papacy that was meant to embody 'mercy' more and more appears to be used - by some at least -as a smokescreen for a new and brutal era that seems well suited to thugs or nightclub bouncers. To be filed under 'increasingly irritating'. And the Pharisees and the scribes asked him, "Why do your disciples not live according to the tradition of the elders, but eat with hands defiled?" And he said to them, "Well did Isaiah prophesy of you hypocrites, as it is written, `This people honors me with their lips, but their heart is far from me; in vain do they worship me, teaching as doctrines the precepts of men.' You leave the commandment of God, and hold fast the tradition of men." Are you Really Ready for the Prospect of Two Churches? Is this post-Synod scenario completely out of the question? A man and a woman, both divorced, wish to remarry. One of them is a Catholic. They go to see one priest at a Church and the parish priest says, "According to my conscience, informed by the Word of God, you cannot be remarried in the Catholic Church unless your previous marriage is annulled." The couple go to see another priest at another Church nearby and he says, "According to the Pope and the Synod on the Family, you can be remarried here." Now I know that the Synod is not about 'remarriage in the Church for the divorced'. 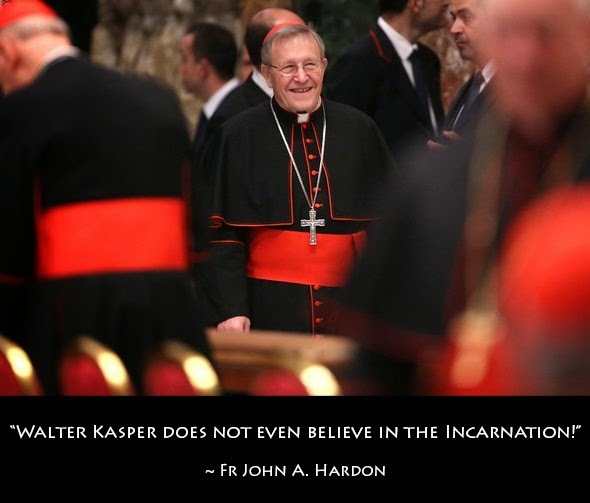 Yet, the question raised by the Synod, thanks to Cardinal Walter Kasper, is whether the divorced and remarried can receive Holy Communion opens the Church up to a raft of hideous inconsistencies that result in schism. But let's think about that scenario. Cardinal Raymond Leo Burke has made a few shockwaves by saying categorically that if the situation warrants it, he will "resist" Pope Francis. The word 'resist' is quite emotive. It is not, however, 'rebellion' or 'revolution'. What 'resisting' a Pope looks like is going to be interesting, but as Cardinal Burke says, 'worrisome' as well. Evidently, Cardinal Burke does not want to have to resist a Pope's teaching, but is prepared to do so for the Lord Jesus Christ and for the good of souls. Christian Orderhas - for those masochists wishing to relive the Synod on the Family - a pretty comprehensive review of where we are now, eight months before the Synod on the Family reconvenes in October. All in all, its a pretty devastating critique of the Synod and much that came from it. 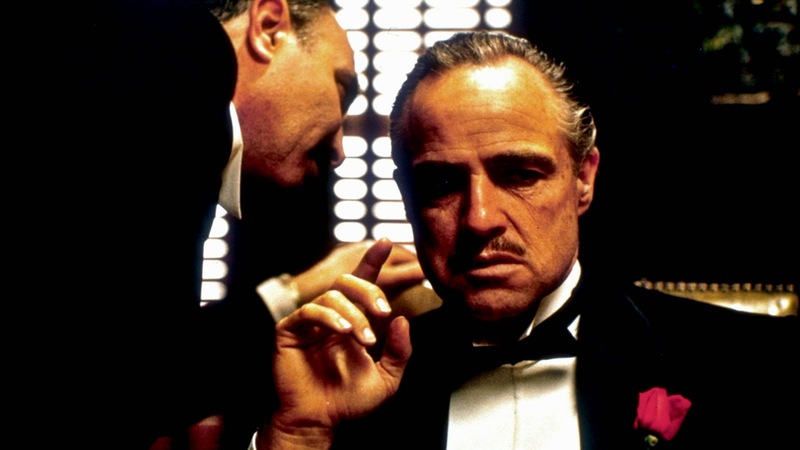 I'm yet to be convinced, however, that the Synod is really about the family. It doesn't seem to be about proclaiming the Catholic Faith or about defending the family in these times when the family is under great and sustained attack. Among others, this terrifying reality has been noted by a Polish Archbishop. I will tell you brutally. The Church has betrayed John Paul II. Not the Church as the Bride of Christ, not the Church of our Creed, because John Paul II was an expression, an authentic voice of the Church; but it is the pastoral practice that has betrayed John Paul II. There is a lot of stuff on the TV and in the media about the Holocaust at the moment. For reasons of historical balance, I look forward to the documentaries gracing our screens concerning the 30 to 50 million killed by Joseph Stalin's regime but I won't hold my breath. That said it is important that we do not forget. If the mass media desire that we only focus on and remember one genocide of the many gracing the 20th century, then that is better than forgetting them all. The 70th anniversary of the Holocaust is a good time for Governments across the world not merely to recall the loss of predominantly Jewish life and to reject again the hatred of the Jewish people embodied by Nazism, but to rededicate themselves to fight against policies which are contrary to the protection of the dignity of all human life. If you do a Google image search on Heaven, the results are not exactly that interesting. Try it. A bit of Jesus and some clouds. That's it, apparently. What we do know is that Heaven will, if we are granted entry to it, be beyond any joy we can imagine. Union with God for eternity in the company of the Angels and the Saints. And the Church maintains as an infallible teaching that there are plenty, many, shed-loads of souls there in that abode of eternal joy and blessedness, where earthly suffering was turned, in an instant (or after purification in Purgatory) into happiness beyond compare.